Beginning June 1, 2018, ALL Case Report submissions, if approved for publication, will be published in the WVMJ OA, our online, open access journal. Publication in the printed West Virginia Medical Journal (WVMJ) will be reserved for original research, retrospective studies and review articles. The West Virginia Medical Journal is printed quarterly in January, April, July & October. For general submission guidelines please click here. The WVMJ OA follows the recommendations of the International Committee of Medical Journal Editors (ICMJE).To better understand author responsibilities, follow the ICMJE link. There is a one-time $10 submission fee. No fee for resubmissions. Since 1906, the West Virginia State Medical Association (WVSMA) has published the West Virginia Medical Journal (WVMJ), a clinical, peer-reviewed medical journal. The WVMJ strives to publish clinical articles of interest and within the understanding of physicians in every area of practice. Submissions to the WVMJ are now processed online through Scholastica peer-review software. Beginning in June 2018, ALL peer-reviewed and accepted case reports will be published in the WVMJ OA. Authors of peer-reviewed and accepted original research (including but not limited to: Education, Outcome Studies, Cost-effective Analysis, Interventional Studies, Randomized Controlled Trials, Screening & Diagnostic Test Studies) and review articles will be published in the printed Journal. Our online journal https://wvmj.scholasticahq.com/ is an open access publication. 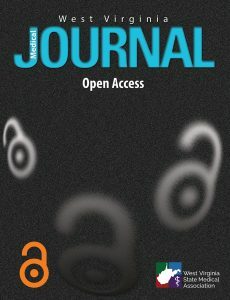 Open Access (OA) is the free, immediate, online availability of research articles combined with the rights to use these articles fully in the digital environment. Open Access accelerates research through unencumbered accessibility. Articles published in the WVMJ OA are indexed by Google Scholar and CrossRef.